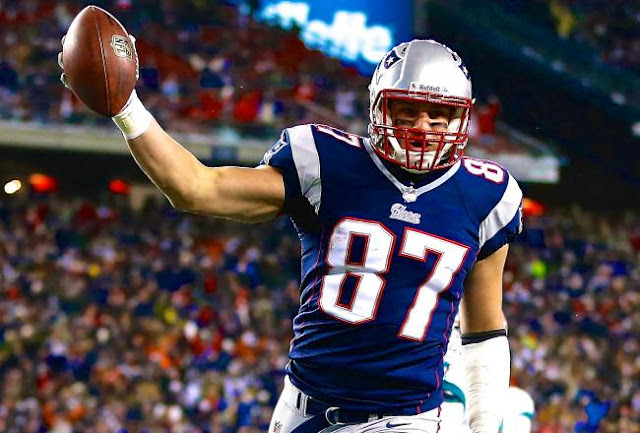 Double Coverage: UK American Football Blog: Gronkowski's forearm surgery successful. Per NFL.com reporter Ian Rapoport, New England Patriots Tight End Rob Gronkowski's latest surgery on his broken forearm has been labeled a success by surgeons. No new infection was found and new plates were put in to help with the healing process. Though it isn't a definite conclusion that Gronk will be back for training camp, it is certainly looking more positive for the 4th year veteran, who only recently signed a contract extension. Concern will now be focused on his back when he visits spine specialist Robert Watkins in three to four weeks. The need for treatment on his back would certainly start the alarm bells ringing, after it was this a back injury that caused Gronkowski to drop to the second round in the draft. The Patriots still have Aaron Hernandez on the roster, but he also suffers from injuries and hasn't had a full season during his short career. The pick up of Jake Ballard last season from the New York Giants looks even more astute.